We’re excited to introduce our first ever Valentine's Market on Sunday, Feb 12 from 1-5pm. We'll have local vendors selling a variety of goods from jewelry to calligraphy to clothing, and more! Come to the market and enter your email in our database for a chance to win an amazing raffle including products from every single one of our vendors! Scroll down on this page to check out some of the vendors that will be there. The Deeply Co is an entity that exists to celebrate beauty. Through our intimate gatherings of music + art, online retail space, and blog - the heart of Deeply quickens at every opportunity to revel in loveliness. We value the art of a beautiful life, and we believe that it's luster shines not with career titles, roles, or life chapters - but rather that it softly glows within the unending choice to extend love, ever and always, deeply. Pure White Jewelry is more than an accessory. 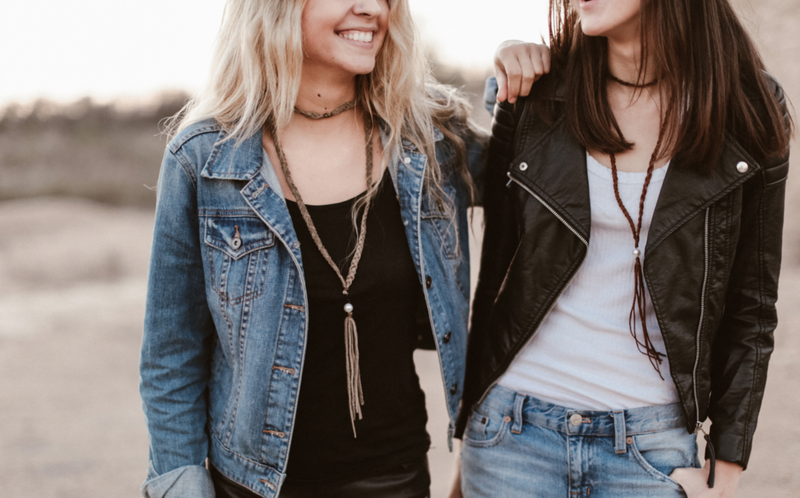 The goal of Pure White is to create wearable and affordable jewelry to encourage women to embrace the identity that God gives them through Jesus. The jewelry, designed by Woodrow, comes in three lines: white pearls to remind women they are pure, rose gold pearls to remind women they were made to shine and black pearls to remind women to be bold in the name of Jesus. Still photography is a wonderful way to capture a moment or showcase a product. After discussing a client's specific needs, I take care of the rest with a photo shoot, guaranteeing the best possible product. Implementing great natural lighting and a creative eye, you will leave with fully edited photos, capturing the heart of your project. Gather is a collaboration of our passions: the Art of Hospitality. We have a vision to inspire and enjoy the beautiful life. Through our partnerships with local artists, we offer carefully curated items for hosting and entertaining at home. We hope our unique selection of functional art will help you create a space you love--whether that be limited to one room or your entire house. Each piece of EM Jewelry+ Design jewelry is made by hand using traditional metalsmithing techniques, as well as antique dyeing practices. We focus on using sustainable materials, like brass and 14 karat gold fill, while ensuring the highest quality for the value. Many of the pieces are inspired by architecture. Linear and geometric forms of buildings and skylines inspire the design as these shapes and silhouettes translate well into jewelry. "Wildland Supply Co. is the epitome of hip minimalism"
Our friends at the Mayborn Museum will be hosting an interactive table for you to make the cutest darn Valentine's cards you've ever seen.